Recently, I was working with a client who was interested in seeing how often their internal search results page was the exit page. Their goal was to see how effective their search results were and which search terms were leading to high abandonment. Way back in 2010, I wrote a post about how to see which internal search terms get clicks and which do not, but this question is a bit different from that. 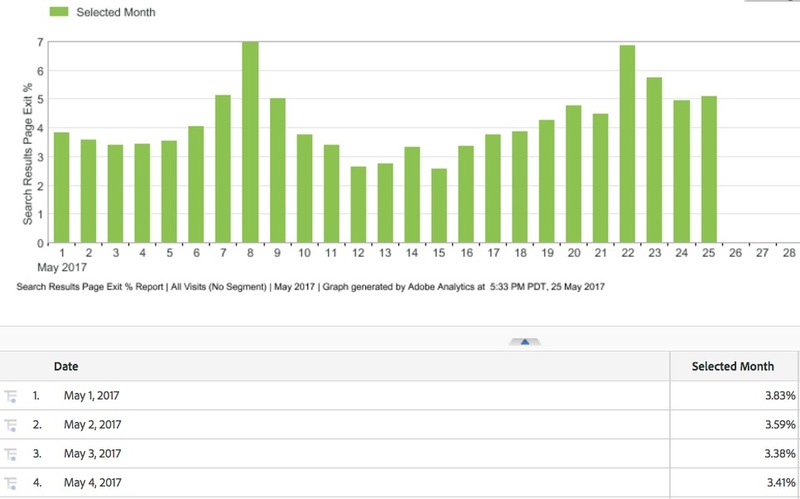 So in this post, I will share some thoughts on how to quantify your internal search exit rates in Adobe Analytics. Now we have a trend of the Search Results page exit rate and this graph can be added to a dashboard as needed. Here you can see that this search term has a much higher than average Search Result page Exit Rate. 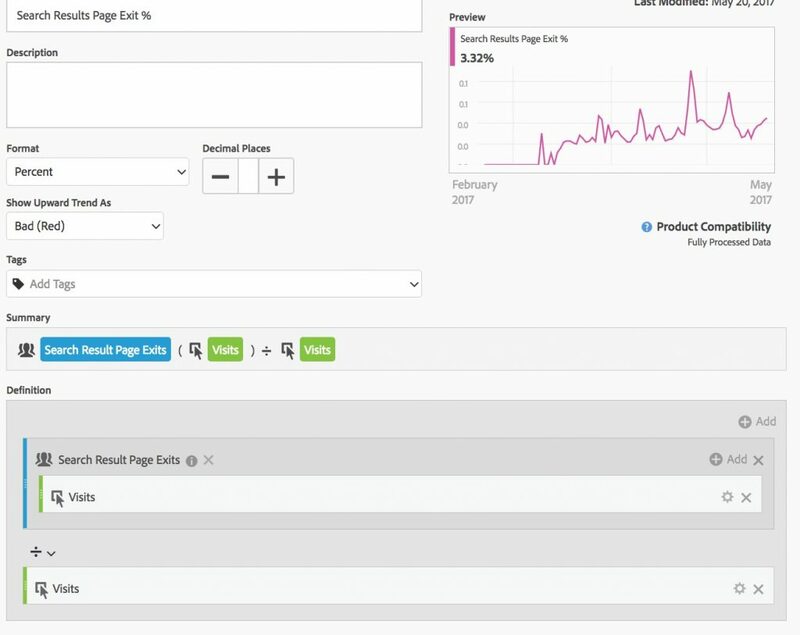 But if I want to do this for more search terms, I would have to create many keyword-based segments, which would be very time consuming. 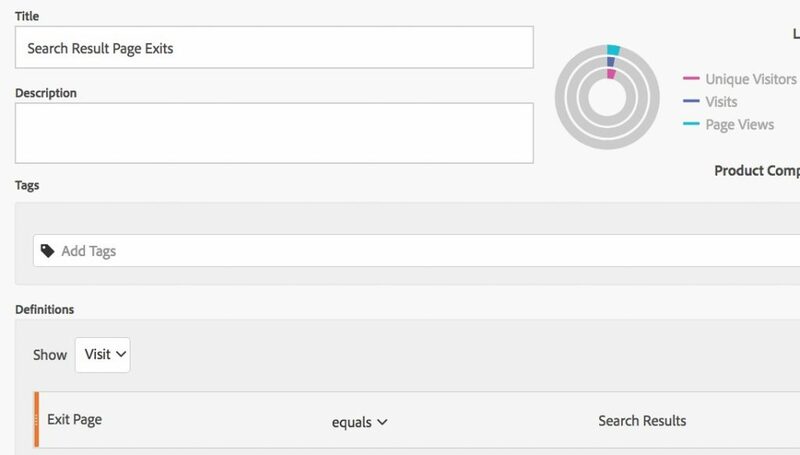 This means that you can see the Search Page Exit Rate for any term without having to build tons of segments (yay!). 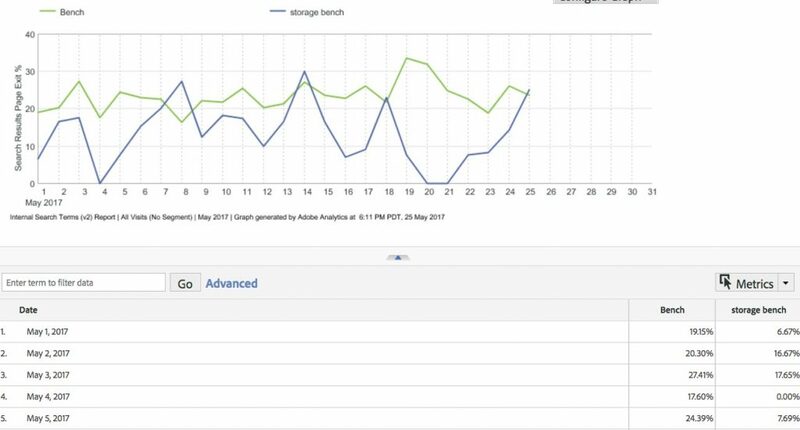 And, as you can see, the daily trend of Search Page Exit Rates for “Bench” here are the same as the ones shown above for the Pages version of the metric with the one-off “Bench” segment applied. As if this weren’t enough, there is one more thing! If you sort the Search Term Exit Rate (in descending order) in the Internal Search Term eVar report, you can find terms that have 100% (or really high) exit rates! This can help you figure out where you need more content or might be missing product opportunities. Of course, many of these will be cases in which there are very few internal searches, so you should probably view this with the raw number of searches as shown above. Hi Adam, a bit confusing for me. 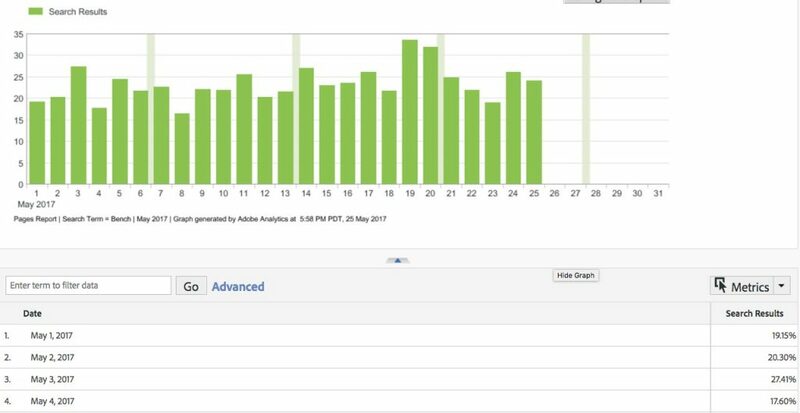 I can say looking at the report that I had 515 visits where internal search term was “bench”. Out of 515, there were 94 exits where bench was last searched(Correct me here). Now when you say search result page exit % is 23.11%, I get 119. (23.11 percent of 515). So you mean 119 exits from search result page? How is it possible when total is only 94? That is a good point. I guess you could add a Counter eVar to see if it was the first search, second search and build a segment from that somehow. I don’t think there is a perfect solution for that. Ankit – Your post made me realize that I added Exits instead of Search Page Exits to the report. The previous calculated metric was still correct, but I have now added the Search Page Exit metric that will show you the correct calculation. 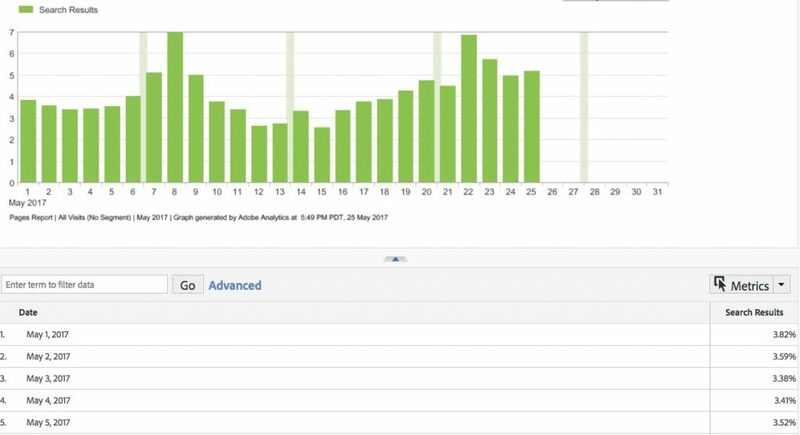 I believe that the “Exits” metric shows how often each search term was the last search term they used (regardless of whether they exited the site after the search) and my new Search Result Page Exists metric shows how often they exited from each term.